Matthew currently acts as the COO of eLumen, overseeing all strategic partnerships and customer success activities. Matthew has recently been involved with a personalized learning environment initiative, a high school to college bridge project using adaptive virtual desktops and a statewide Educational Planning Initiative representing the California Community College Chief Information and Security Officers. He continues his clear passion for student success and achievement with eLumen and its next-generation, integrated eLumen institutional performance management platform. Matthew also consults with organizations that anticipate a need for enterprise integration, enterprise business intelligence or enterprise system deployment. He has been active in multiple open source projects, such as Kuali, Drupal and Sakai. Prior to eLumen, Matthew was CTO of Hartnell College, Director of IS at San Joaquin Delta College, a Kuali Founding Partner, serving 25,000 students and before that a Product Manager and Solutions Architect for SunGard Higher Education based in Philadelphia, PA. Matthew played an active role in the development and introduction and management of multiple key Kuali and SunGard products including the largest market share portal in higher education. Eric Ichon, the Dean of Distance Learning & Instructional Technology for West Los Angeles College (WLAC), has over 15 years of experience in distance learning including instructional delivery via satellite, videoconferencing and, of course, online. Dean Ichon joined the faculty of WLAC as the Instructional Media Specialist in 1997 and founded their Distance Learning Program in 1999. WLAC now has the largest Distance Learning Program in the Los Angeles Community College District (LACCD). Dean Ichon received his Bachelor of Business Administration in Management and his Master of Library and Information Science from the University of Texas at Austin. In 1990 he moved to Los Angeles to work as the Reader Services Manager for the Braille Institute. In 1995 he joined the Immaculate Heart College Center as the Center Librarian. Dean Ichon has chaired, and is currently a member of, the LACCD Distance Education Committee and has served on the LACCD Technology Planning and Policy Committee. He is also the Administrative Co-Chair for West’s Distance Education Committee and serves on the College’s Technology Committee. Dean Ichon was one of the original members of the Etudes Advisory Board and now serves as the Chair of the Etudes Board of Directors. Vivie leads, manages, and supports the Etudes community and organization. She is responsible for the strategic planning and vision of Etudes, as well as product management and development of the Etudes (Next Generation) software. Vivie formed the ETUDES Consortium in 2002 and extended Learning Management System (LMS) services and support to distance learning programs to California Community Colleges. In 2004, Vivie led the adoption of the Sakai platform for Etudes, and was a founding member of the Sakai Board, representing community college needs. In May of 2008, Vivie founded Etudes, Inc., and led Etudes from a campus project to a non-profit 501(c)(3), public charity organization that leads open source development and offers e-learning services to higher education institutions. Vivie also spear-headed the Sofia initiative for undergraduate education, and is helping shape the vision of both open source and open education resources. Vivie also spear-headed the Sofia initiative for undergraduate education, and is helping shape the vision of open source software and open education resources. 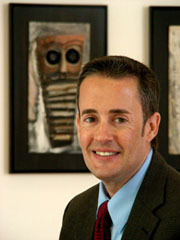 Vivie was the recipient of the 2002 Technology Leadership Award from the California Community Colleges Chancellor’s Office. She also received the League Innovator of the Year Award for Foothill De Anza Community College District (2002). 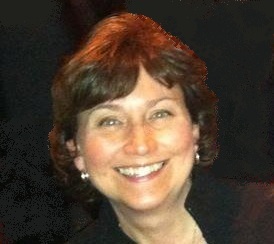 Margie White is an educational consultant, trainer, and online instructor. She has worked in the California Community College system since 1995. She has taught a variety of Business and technical online classes for over ten years and also provides instructional and technical support to online instructors at College of the Siskiyous. She had been an Etudes certified trainer since 2006 and is completing her Ph.D. in Instructional Design for Online Learning.